Librarian for Art History, Biology, Chemistry, Computer Science, Environmental Studies, Mathematics, Physics, and Studio Art. Published by the Association for Computing Machinery, you can get citations and abstracts from their many publications. http://arxiv.org/ - Based out of Cornell, this database provides open access to 742,249 e-prints in Physics, Mathematics, Computer Science, Quantitative Biology, Quantitative Finance and Statistics. "CiteSeerx is an evolving scientific literature digital library and search engine that focuses primarily on the literature in computer and information science....Rather than creating just another digital library, CiteSeerx attempts to provide resources such as algorithms, data, metadata, services, techniques, and software that can be used to promote other digital libraries." http://dspace.mit.edu/ - DSpace at MIT is "MIT's institutional repository built to save, share, and search MIT's digital research materials including an increasing number of conference papers, images, peer-reviewed scholarly articles, preprints, technical reports, theses, working papers, and more. Click on the links below for lists of items available at Lane Library in these subject areas. Note, these lists may not include all materials. I recommend using them as a starting point. From Scientific American, "Edwin Abbott Abbott wrote the mathematical allegory Flatland in 1884. Enmeshed in his two-dimensional world, the hero, A. Square, has an epiphany: there is an existence beyond his plane, a three-dimensional universe. 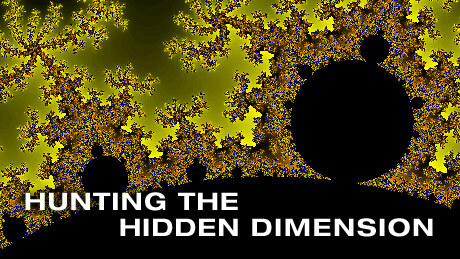 By laying out how two dimensions relate to our three, Abbott entices the reader to imagine how our own world would relate to a fourth spatial dimension. And by showing the tendency to take refuge in dogma, the book satirizes Victorian class consciousness and attitudes toward women; the females of Flatland, for example, are lines, who present a danger to males, especially to the priestly circles, whom they might fatally pierce." From the Nova website, "You may not know it, but fractals, like the air you breathe, are all around you. Their irregular, repeating shapes are found in cloud formations and tree limbs, in stalks of broccoli and craggy mountain ranges, even in the rhythm of the human heart. In this film, NOVA takes viewers on a fascinating quest with a group of maverick mathematicians determined to decipher the rules that govern fractal geometry." http://www.codecademy.com/ -- Learn to code online for free from Code Academy!